How a series is perfect for massage lovers. Is it important to you that you get that weekly massage to keep stress and soreness at bay? A series is the perfect way to pay for massages you know you’ll use in the future. A series allows you to get your massage and continue your day quickly and easily. 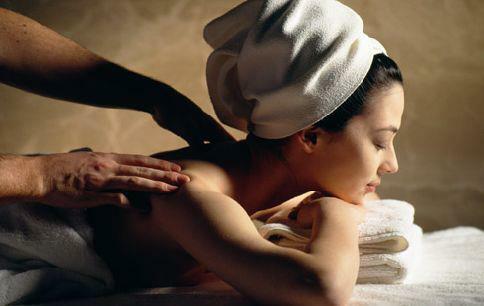 A series at IHC is a great option for people who enjoy massages regularly. For a series you purchase 5 massages or packages sessions upfront (can choose five 30 minute sessions, five 60 minute sessions, etc) and get 6 sessions. When you come in to use your series simply state you’re using a series and initial on our series card to show you’ve used a session. Series can be shared with friends and family with prior permission from the series holder. What if I want a longer session than purchased on a series? You are able to combine two sessions in one appointment if desired. You can also use half of a session for a shorter appointment. No, you never have to worry about wasting a series because it wasn’t used quickly enough. You can stretch out the sessions as far as you’d like as long as you don’t forget about the series altogether! Choose what service or package you’d like to purchase a series of. Purchase in the lobby of the spa or purchase your series on a gift card online at ihcdayspa.com. Spa services can also be purchased as a series.